Is the scaled down and manually operated version of our famous KONSEP. This is mainly engineered for small coolant tank applications and for doing periodic cleaning of various tanks. 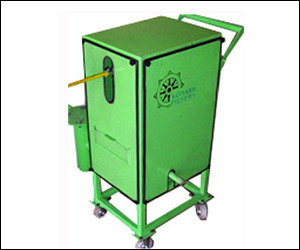 It is skid mounted alongwith feed pump making it self sufficient and portable. It too like its parent version, replaces paper band filters and the like. Increases coolant life, reduces bacterial growth, reduces downtime, increases productivity, helps EHS, ISO 14000 & pollution norms. Special tramp oil separators is also built in on special request.